It is with great excitement and shivery anticipation that I bear news of the rebirth of a very old tradition here in my hometown: a cadre of dear ladies and myself have joined forces as Krewe du Bisoux to bring the celebration of 12th Night to Austin. Our inaugural parade and fête will feature a decadent Kings and Queens Ball, with king cake (bien sûr! ), our favorite marching band, and lots of glitter and revelry! The celebration of Twelfth Night dates back to medieval England, and marks a turning point between the midwinter festival that begins with Halloween and ends as the Carnival season begins to fire up. Carnival means “farewell to the flesh”, and is a time of wildness, indulgence and celebration leading up to the final day of ultimate decadence before the austerity of Lent: Mardi Gras Day! Saturnalia and Bacchanalia were both celebrated in pagan Rome as lusty and decadent free-for-alls that involved excessive quaffing of wine, rich dishes, costumery, and all sorts of naughtiness. The darkest part of the year, in ancient times, required much merrymaking and fun to keep spirits bright during harsh winters that often brought much hardship. The twelve days of Christmas begin with Christmas day, and end on the Twelfth Night, or Epiphany. The end of the Winter Solstice season is ideally celebrated with a sense of triumph – that we made it through, that we survived to see another year! What better excuse for dressing up and dancing in the streets? Eat, drink, and be merry was their motto – and we’ll be trying our best to celebrate by that maxim, along with the Cajun French phrase you hear around Mardi Gras time in Louisiana: Laissez les bons temps rouler! – or: Let the good times roll! In New Orleans, Twelfth Night is celebrated with king cake parties and, on a larger scale, Masquerade Balls. It is the night that the big Mardi Gras Krewes crown their King and Queen. On a scaled down version, house parties celebrate their own “king,” depending on who finds the plastic baby hidden in their slice of king cake. Tradition has it that the person to find the baby in their cake is rewarded with good luck for the year to come, and also is obligated to host the next king cake party before the season is over. Before plastic babies came into vogue In times of yore, a bean or a pea was hidden in the cake – the Bean King and the Pea Queen preside over the year’s festivities. It was custom for this day to be a time for everything to be turned on its head: to crown the peasants as kings, and for the royalty to run rampant in rags. On Twelfth Night, the Lord of Misrule dictates that everyone must come as they are not – the practice of dressing up in costumes or hiding one’s true face behind a masquerade mask is really a kind of ritual mummery that is practiced in ceremonies and magical rites in many cultures. When we dress in costume, we are given the freedom to become someone else – to enact fantasies, totems or characters from the deepest recesses of our psyches. It may seem to be nothing more than frivolity, but in truth, mummery can be a powerful form of catharsis for our spirits. Also, it really is a whole lot of fun! Parades and processions have long been part of this celebration – taking to the streets in wild ensembles with noisemakers, instruments, pots and pans to bang on, (or even better – a marching band!) is another symbolic way of turning our every day sense of reality around. Houses and businesses that we might walk or drive by on any normal week are suddenly made more mysterious and special when we dance and frolic past them in a wild parade. It’s a form of reclaiming public space, of taking back streets and sidewalks that are usually only used in typical workaday fashion, and celebrating there. There’s something very magical about gettin’ down to a brass band in the middle of the street – a certain kind of freedom that’s not quite there in an enclosed space, or a venue dedicated to that purpose. We want very much to share that experience with Austin, and create a new tradition to help us all bring a bit more magic, dazzle and joy into our city! I’ve been reading Dancing in the Streets – A History of Collective Joy by Barbara Ehrenreich, which is a wonderful look at the history of parades and public celebrations through the ages. Parading is such a huge part of the way I love to express my lust for life: I am fascinated by the history of festivals, costumed processions and ritual mummery, and this book really delves into why we, as humans have always felt the need to celebrate in these ways. I discovered the artwork of Harvey Dinnerstein via Matthew D. Innis’s excellent art blog, Underpaintings, and I am so grateful to him for introducing me to Dinnerstein’s work. I bought both books of his paintings after reading that article! Also, Innis has collected some of my favorite paintings with a processional theme in his post – the Alma-Tademas and James Gurney dinosaur parades I adore especially. One of Dinnerstein’s masterpieces, Parade, was painted in 1972, and I have found myself completely captivated by it. Of creating Parade, Dinnerstein said, “I had in mind a processional image, somewhat like the reliefs of Roman sarcophagi, related to Reubens’ development of similar themes. I have a memory of an experience viewing Delacroix’s Death of Sardinopolis at the Louvre. When you place yourself at a distance from the painting, so that the range of your vision encompasses the width of the image exactly, there is a dazzling effect of movement, and I hoped to arrive at some of that kind of energy in my painting. With his work, Parade, Dinnerstein sought to emulate the grand allegorical paintings of the Renaissance, but from the Naturalist viewpoint which made up his training. He found in the political demonstrations of the sixties, a use of symbolism and myth by the protesters from which he could create his own epic image. From his own notes and sketches made during his personal observation of that tumultuous time, Dinnerstein engineered this spectacular piece. A parade is a reminder to sing and dance while we may! I plan on doing as much of that as I can in this life, and I can’t think of a better way to ring in a new year and the start of Carnival than by celebrating 12th Night! If you’re in Austin, please do join us, and if not – well, get yourself a pan to bang on, a banner and a band and start your own parade wherever you may be! This is wonderful! I just realized this morning that tomorrow is Twelfth Night, and that the first parade in NoLa is in just two weeks. 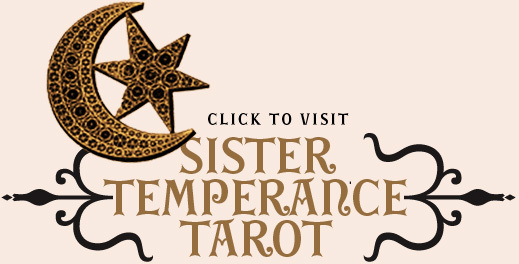 I can’t wait to meet you and have a reading done by you!